In 2013, the universities of Johannesburg (UJ) and Witwatersrand (Wits) undertook a survey to study the travel characteristics and needs of students and staff at UJ and Wits. Their brief focused on bus services and the potential improvement of the existing public transport services, to lessen the pressure on the institutions to provide university-based bus services. 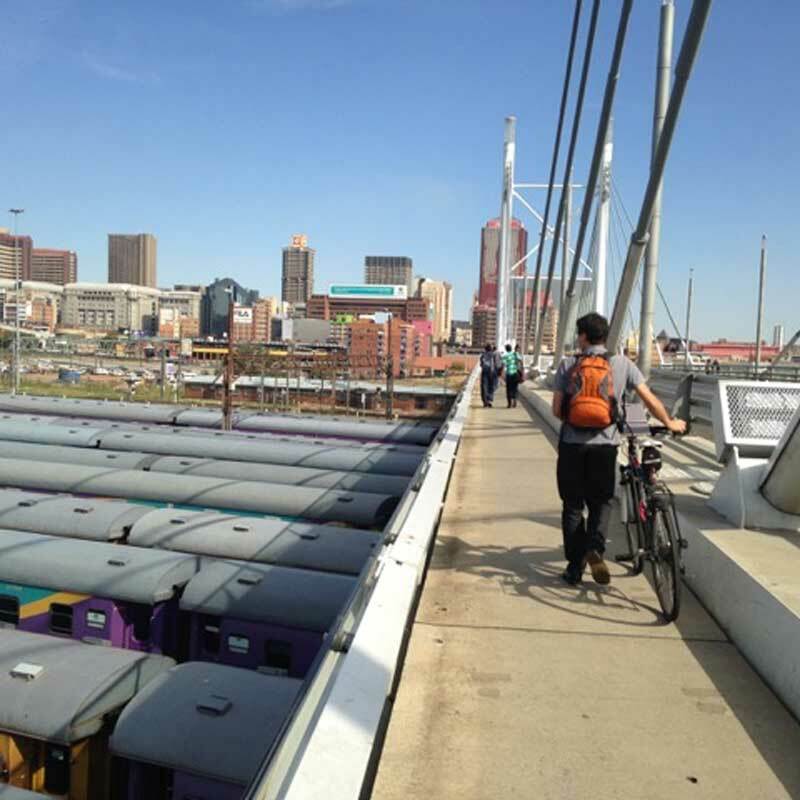 Among their recommendations was a proposal to engage with the City of Johannesburg (CoJ) to provide safer cycling conditions between the nearby suburbs and the Auckland Park and Braamfontein campuses. In 2014 Smec-SA was appointed by CoJ to respond to these recommendations. 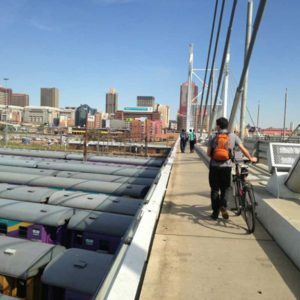 My role, as a sub-consultant, was to engage stakeholders and design a 15-km bicycle network linking the University of Johannesburg, the university of the Witwatersrand, and surrounding areas. Development of an NMT (principally cycling) network / route (overlaying of desire lines/route choices, workshop with City of Joburg, verification with stakeholders, further site visits and observation).